Managing big data is critical to the health of your organization and your patients. But these initiatives can be a drain on time and resources. Now, Business & Clinical Analytics (BCA) does the heavy lifting for you. BCA is a web-based data visualization solution that helps organizations increase efficiency, measure progress, and improve performance. Easy to implement, easy to use, and fully integrated with MEDITECH’s EHR, BCA puts your clinical, financial, and operational data to work and points your organization in the right direction. Ready to make more informed decisions in the C-Suite and beyond? BCA comes pre-loaded with executive dashboards that enable your management team to slice, display, and analyze data. Use both MEDITECH and other vendors’ SQL data to reveal areas for improvement, identify performance drivers, and empower decision-making. 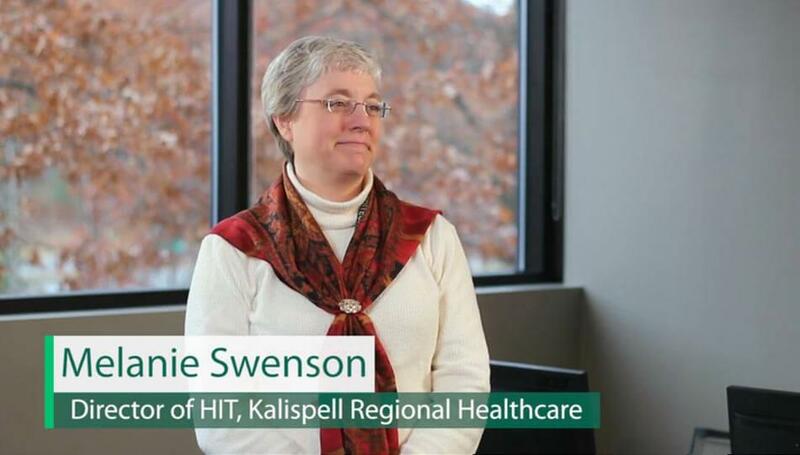 In this video, Melanie Swenson, director of HIT at Kalispell Regional Healthcare (Kalispell, MT), explains how BCA puts data in the hands of the end user, so they can explore their own information. Working with as much information as you do requires a lot of care, feeding, and maintenance. That’s why BCA is loaded with standard dashboards to map out your organization's data and get you up and running on your big data initiatives. MEDITECH refreshes your dashboard library at regular intervals. 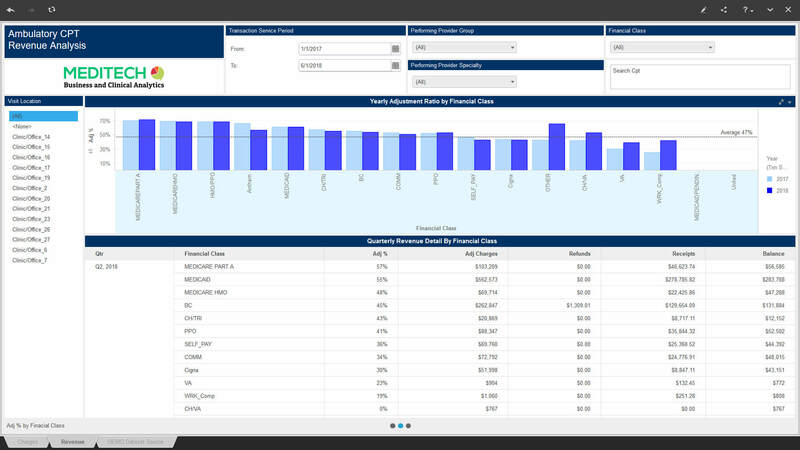 Plus, we’ll continue to add new dashboards and analyses, with a variety of selectors to filter by time periods, providers, payers, patient classes, clinical conditions, and more. Creating personalized dashboards is a cinch with Visual Insight, an intuitive, interactive tool that draws from MEDITECH’s pre-built, query-optimized data model. User-defined dashboards are easy to assemble and even easier to digest. No programming expertise required — simply drag and drop metrics into colorful charts and graphs to display your data in meaningful ways. 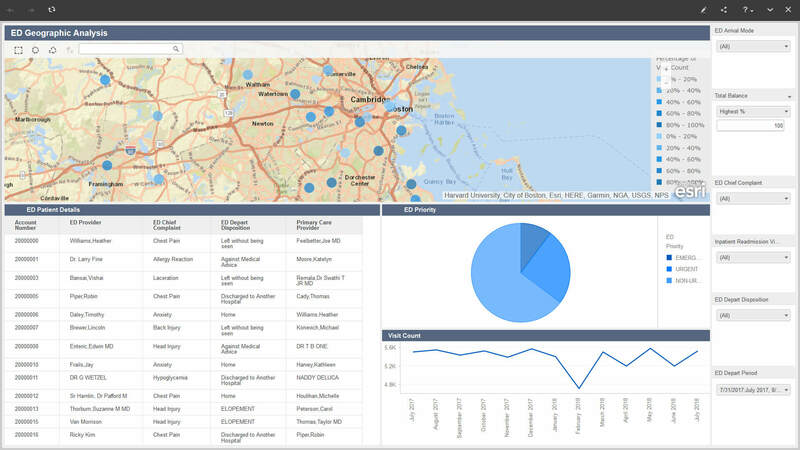 Visual Insight’s flexible design even allows you to build unique dashboards from scratch. Visual Insight and the rest of BCA's interface are powered by MicroStrategy, a MEDITECH third-party vendor. MicroStrategy received the highest scores out of 22 vendors in a recently published Gartner Special Report on critical capabilities for business intelligence and analytics platforms. "MicroStrategy has among the highest product ratings of any vendor in this Critical Capabilities [category]. It earned Excellent to Outstanding scores for BI administration, architecture and security, data source connectivity, scalability and model complexity, metadata management, mobile, ease of use, visual appeal, and platform workflow integration." Identify trends and drill down for an illuminating view of your organization’s fiscal workings and outlook. Determine the links between clinical and financial performance to avoid costly penalties and capture fuller reimbursement. Gauge your advancement toward organizational goals with dashboards that display targets and assess progress. When the right information is at your fingertips, maximizing revenues and controlling costs have never been more manageable. Detect costly and unnecessary variations in care with Quality Dashboards that assess performance at the individual, practice, and group level, and support adherence to best practices. Identify root causes of deficiencies among your CQMs to improve patient outcomes, decrease readmission rates, and reduce penalties. Gain a better understanding of your patient populations as well. Safeguard quality care, review benchmarks, and ensure that medical staff and administration are united in pursuing organizational goals. 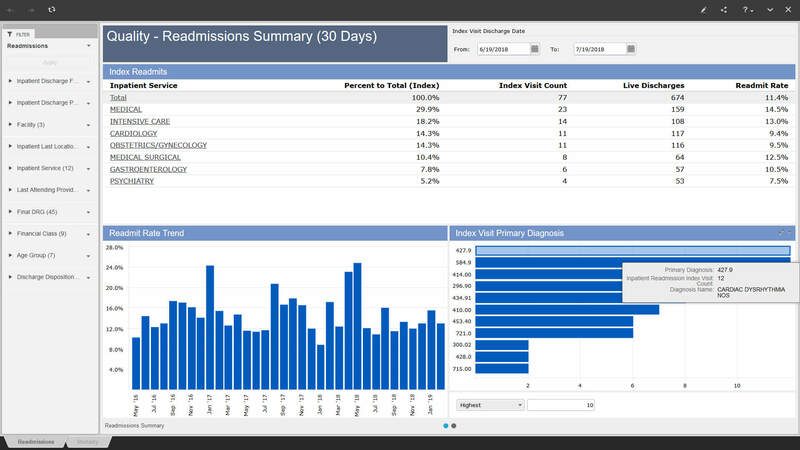 BCA’s specialized dashboards track readmissions, HACs, Level of Service analysis, variations in care, and more. Track and manage readmissions, HACs, turnaround times, surgical throughput, time to prepare room, average outpatient visits, and much more to keep your department running like a well-oiled machine. Track patient satisfaction scores, portal enrollment, and patient education. Perform real-time assessment of ED wait times to reduce bottlenecks. Fine-tune location management to maximize patient convenience. 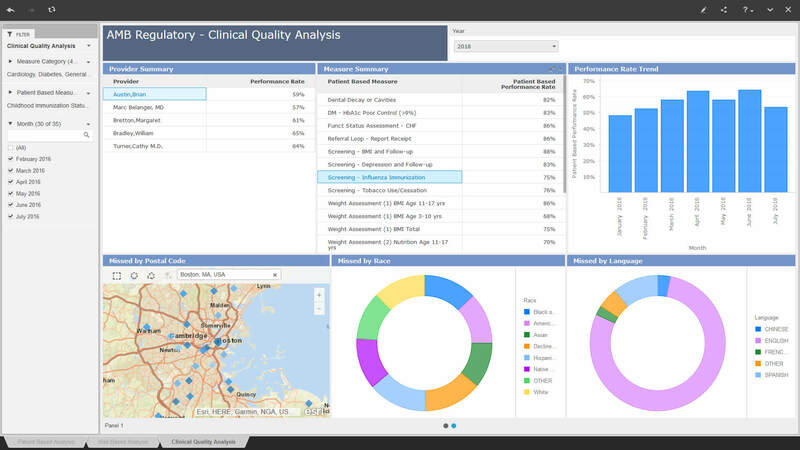 Get a perspective on patient populations in multiple areas with Geographic Analysis Dashboards. Pinpoint where patients are coming from, so you can tailor your population health strategies and optimize resource allocation. Identify new service line opportunities and potential locations for care. Learn how MEDITECH’s Business and Clinical Analytics (BCA) can help your organization to increase efficiency, measure progress, and improve its clinical, financial, and operational performance.